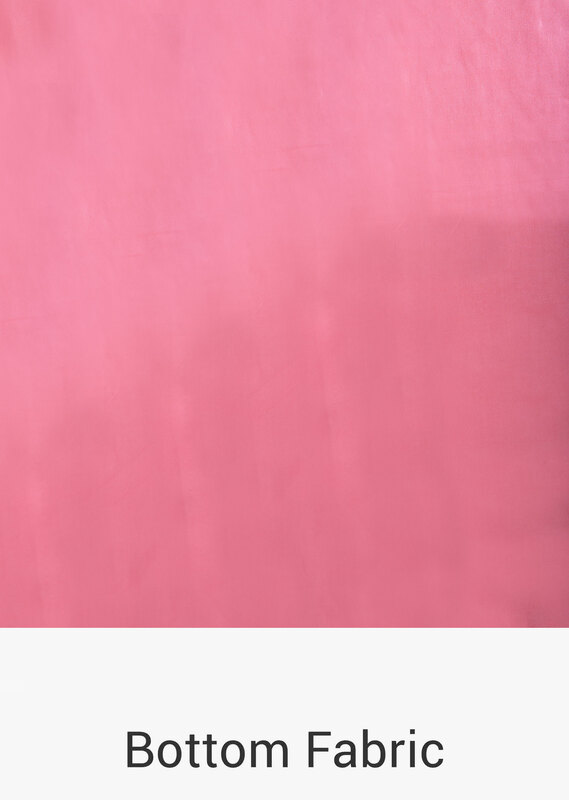 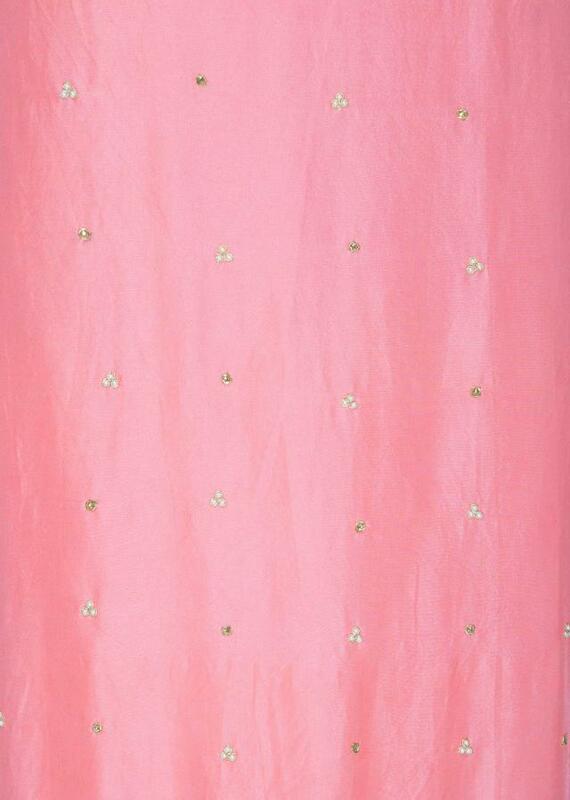 Candy pink unstitched suit in satin silk. 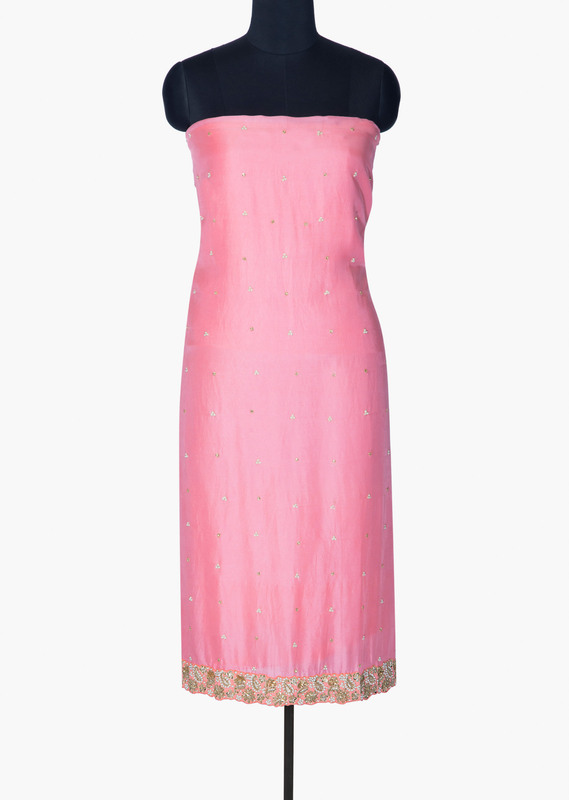 Border is embellished in moti and zardosi embroidery in paisley motif. Bottom fabric is in santoon and dupatta in satin chiffon.